​ACTS is a multi-faith non-profit 501(c) 3 organization. 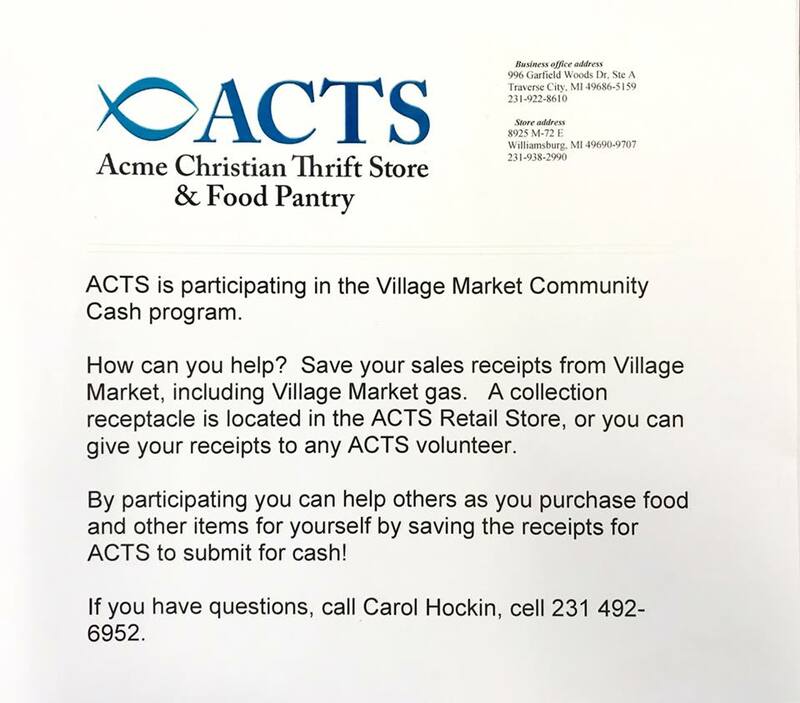 Contributions to the Acme Christian Thrift Store and Food Pantry are used to purchase food for the food pantry. Sales from the thrift store cover all operating expenses and help us to purchase additional supplies for the food pantry. Since February 1, 2005, ACTS has been staffed, operated and managed by a team of mostly volunteers, including board members. We have one paid staff. Assistance to the poor, hungry and homeless is given as it is possible. The Pantry is supported by Thrift Store Sales, financial and food support from many service organizations, churches, businesses and individuals. Please send your tax-deductible donation to the ACTS ​business office address below.